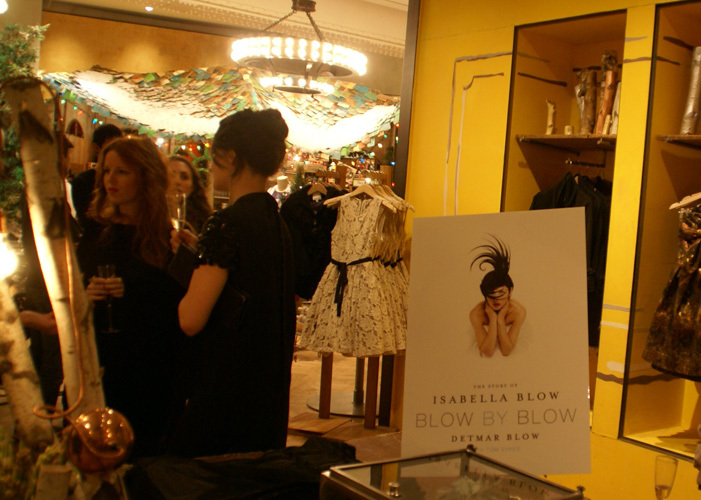 On November 3rd, Anthropologie with Detmar Blow and Tom Sykes celebrated their book launch “Blow by Blow”: The story of Isabella Blow. The evening started with cocktails at 50 Rockefeller Plaza followed by intimate dinner at Corsino Cantina at 637 Hudson Street at Horatio Street in New York City hosted by Anthropologie’s co-presidentsWendy Wurtzburger and Wendy McDevitt along with Lucy Sykes and Euan Rellie. Isabella Blow was a fashion guru in the international fashion world, for whom she has been a bastion, credited with the discovery of successful figures as Alexander McQueen, Philip Treacy, Sophie Dahl and Stella Tennant. Detmar Blow, Isabella’s husband did a special reading from the book that evening. 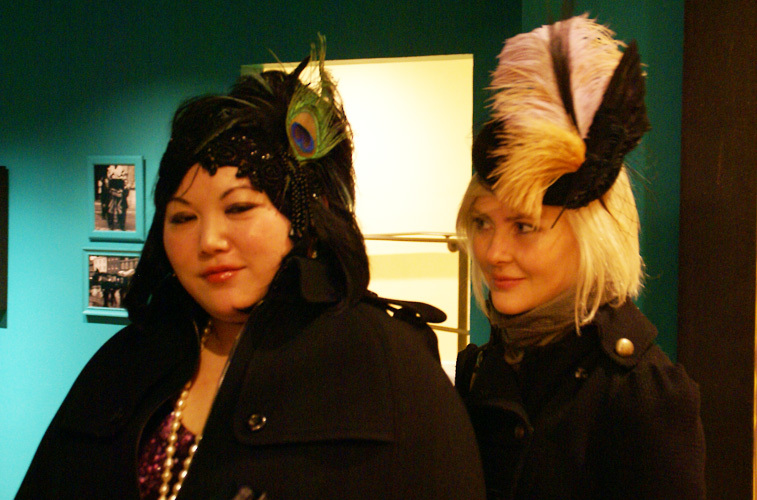 As an honor to Isabella Blow and appreciation towards Fashion as art, Anthropology dedicated a gallery space to exhibit photographs and artifacts including the Disc Hat and Hellraiser Hat, belonging to Isabella Blow, at the Rockefeller Center store. The gallery exhibit will remain on view to the public until November 29th. 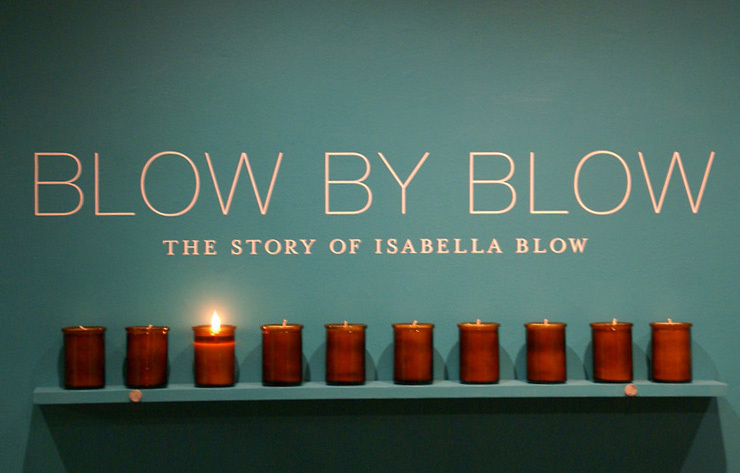 Blow by Blow recounts the story of Isabella Blow as told by her husband Detmar Blow and co-written by Tom Sykes.